Somebody just sent me this picture, of My First Kafka and Kafka's first Kafka. 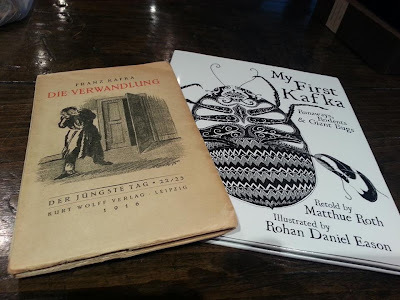 Kafka in Swedish! Kafka in Romanian!